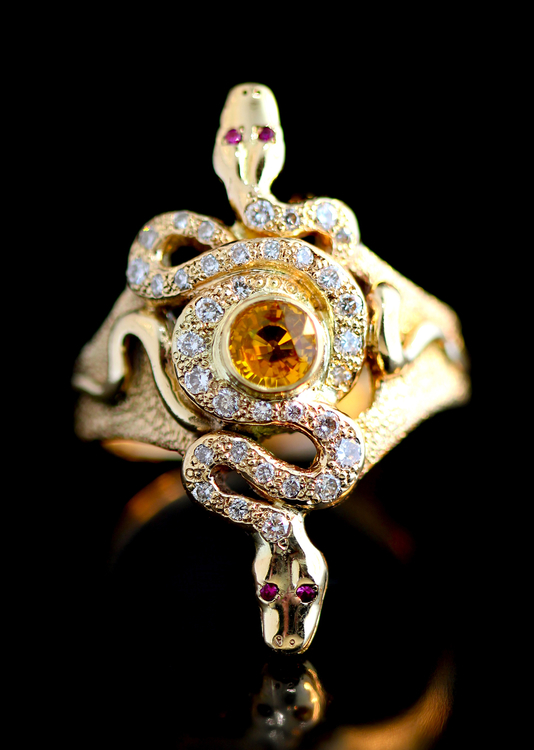 Scott Macklin began making fantasy-inspired jewelry in 1977 with his ex-wife and fellow jewelry artist, Marty Broboskie. They ran a jewelry crafting business together for 15 years. Although they eventually separated as a couple, they remained friends and business partners. After a decade away from jewelry making to care for a family member, Scott is returning to the art and craft show circuit. Their gold and silver designs are created in wax and cast through the lost wax technique. Scott and Marty are known for their ear pieces, particularly their fantasy-inspired Ear Wraps and Ear Cuffs. From the late 1990’s, Prince and his band members wore Marty’s Crescent Moon Ear Wraps, Wave Ear Cuffs, Dolphin Ear Wrap and Comet Ear Wrap.